Last week, Husbie noticed that we have large gaps under two of the doors in our house. We are currently in a weatherboard place, that shifts around depending on the seasons. In summertime, I would often come downstairs to see the front door wide open, and I couldn't understand why it wouldn't latch like it did before. Our lovely landlord lives next door, and he fixed the lock to its summertime position, and sure enough, when it didn't close a few months ago, he shifted it to its wintertime one. And so, in deeper wintertime, we've got gaps under the doors. I made these two door snakes (do you call them something else?) 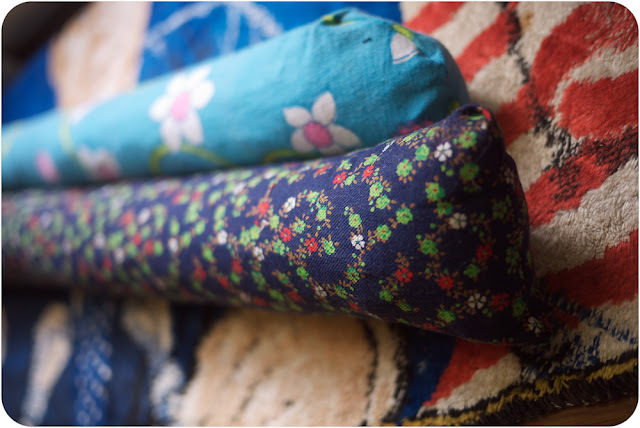 from metre long scraps, and stuffed them FULL of all the offcuts that turned into a carpet in my sewing room. I stuffed overlocker scraps, threads, pattern tissue offcuts... just about anything that was on the floor that wasn't perishable or plastic! What a way to tidy up and recycle! You might remember the fabric from this door snake! It was the base for my awesome first try at piping, for the Embellish This Sew Weekly theme! Nice. I love that they are so happy coloured. And I could use a project like that for my scraps. I swear they seem to be planning to take over my studio! Yay! Sp clever, pretty, practical-thrifty and floral! Here's to hoping they don't end up like Doggie Darling's hard rubbish Blue Thing! I need to make one of these! 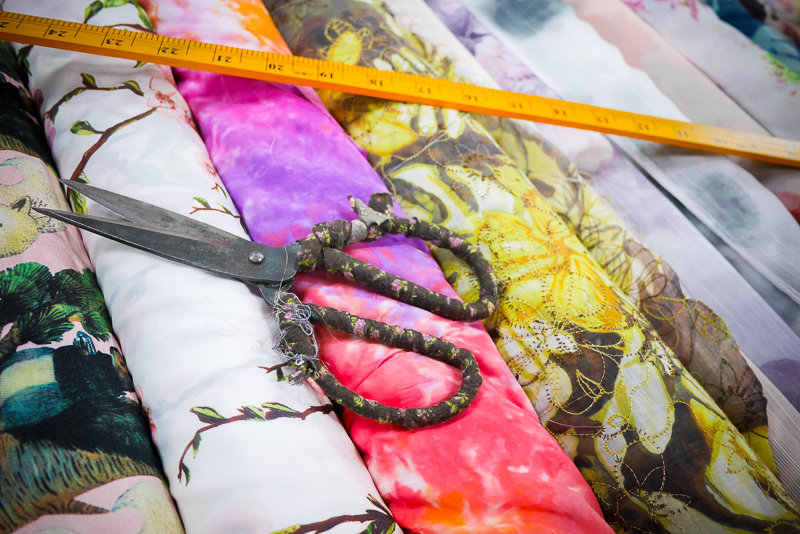 I also have lots of scrappy fabric to use up! 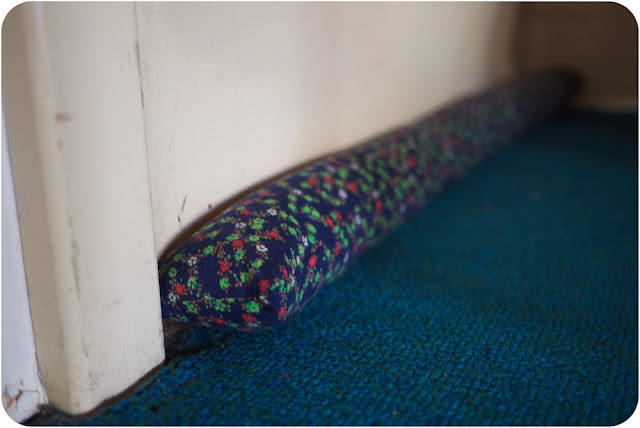 In the UK we call them draft excluders and my gran used to have one she made that was actually a snake with eyes and a tongue! I made one for our back door a few months ago and filled it with rice to keep it in place.